TOKYO - Stock markets drifted lower Tuesday after U.S. indexes pulled back from record highs and investors awaited fresh data from China and corporate earnings. 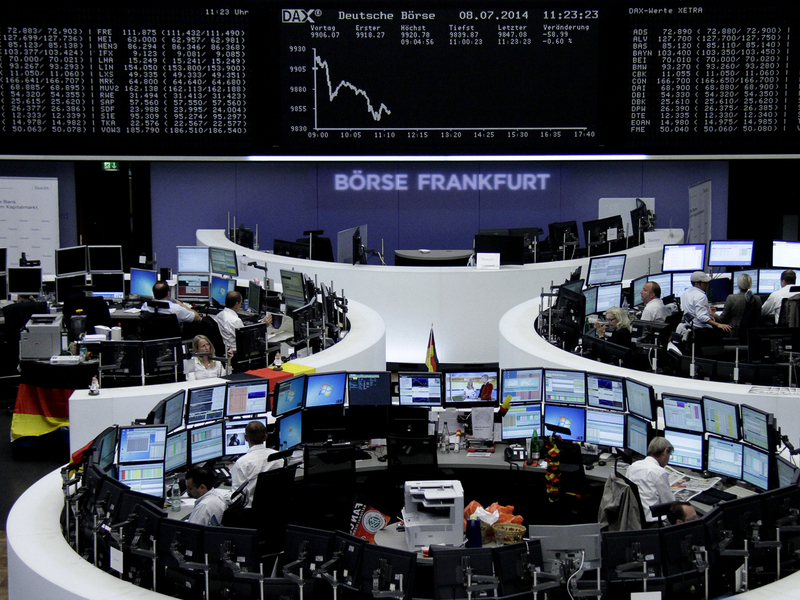 In Europe, France's CAC-40 lost 0.4 percent to 4,387.15 and Germany's DAX dropped 0.6 percent to 9,853.92. Britain's FTSE 100 fell 0.3 percent, to 6,802.08. In both Europe and the U.S., investors are watching for earnings reports that could provide a gauge of the strength of the recovery. U.S. markets looked set for a lackluster start, with Dow and S&P 500 futures both down 0.2 percent. U.S. indexes last week rallied to new highs following a government report that showed the world's largest economy generated a stronger-than-expected 288,000 jobs in June. In Asia, Japan's Nikkei 225 index tracked Wall Street's declines, slipping 0.4 percent to 15,314.41 despite fresh data showing the current account surplus was larger than expected in May. South Korea's Kospi regained lost ground, rising 0.1 percent to 2,006.66 after Samsung announced a double-digit drop in its operating profit in the April-June quarter from a year earlier due to the strong won and slowing smartphone sales in China. Hong Kong's Hang Seng ended flat at 23,541.38. Elsewhere in Asia, shares were lower in Australia, New Zealand and Singapore but rose in Taiwan, Indonesia and Malaysia. China is due to release inflation figures, which are a key indicator for both policy and economic performance, on Wednesday. Meanwhile, investors are also watching for the outcome of a presidential election Thursday in Indonesia, the world's most populous Muslim nation and the third-largest democracy. "With a lack of strong catalysts for the market today, investors are likely to position themselves for tomorrow's data from China ... and developments from the Indonesian elections," IG said in a market commentary. In energy markets, U.S. crude for August delivery was down 17 cents to $103.36 a barrel in electronic trading on the New York Mercantile Exchange. The contract lost 53 cents to close at $103.53 on Monday. In currency trading, the euro slipped to $1.3595 from $1.3608 on Monday. The dollar fell to 101.78 yen from 101.82 yen.